The life of American author and educator L. Ron Hubbard reflects his deep and abiding dedication to education. Throughout his life he sought to help others learn. He continually probed to discover the factors that made learning a challenge and sought to find solutions to those barriers. Ultimately this led to his systematic research into the problems of study and learning and to his development of thoroughly revolutionary techniques called Study Technology. 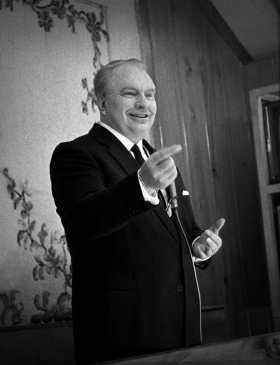 As the son of a United States naval officer, L. Ron Hubbard had an unusual early education. He was schooled through his youth primarily by his mother, a teacher in her own right, who ensured his grounding in the classics and core subjects. In his youth Mr. Hubbard traveled extensively not only throughout the United States, but the Far East and the South Pacific. During the early years of his life, he took a strong interest in the process of education, even as a youth teaching Chamorro children in Guam. By the age of 19, in days when no transcontinental flights existed, he had easily covered a quarter of a million miles—having explored life in Manchuria and other parts of China, Hong Kong, the Philippines, Indonesia and India. 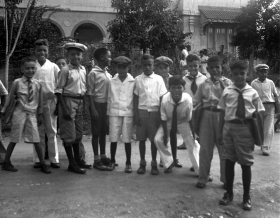 While attending George Washington University, and enrolled in early nuclear physics classes, Mr. Hubbard organized and led two expeditions to the Caribbean. As a result of his experience and qualifications, he was elected a member of the prestigious Explorers Club. Furthermore, while he was at the university, he began his professional literary career, writing for the Washington Herald and scripting for local radio stations. As president of the New York chapter of the American Fiction Guild, he wrote articles giving instructions to novice writers on how to break into the literary field and on how to write. In the years following his departure from university, L. Ron Hubbard became one of the most prominent literary figures of his time, writing popular novels and novelettes in some thirty-five publications. As president of the New York chapter of the American Fiction Guild, he wrote articles giving instructions to novice writers on how to break into the literary field and on how to write. With the start of the Second World War, Mr. Hubbard was commissioned an officer in the United States Navy and, based on his extensive travels and experiences, his duties included the training of naval crews along with commanding vessels in both the Pacific and Atlantic. After the war, Mr. Hubbard researches led him to the discoveries of the mind which he detailed in Dianetics: The Modern Science of Mental Health and which remains today as one of the bestselling nonfiction books of all time. 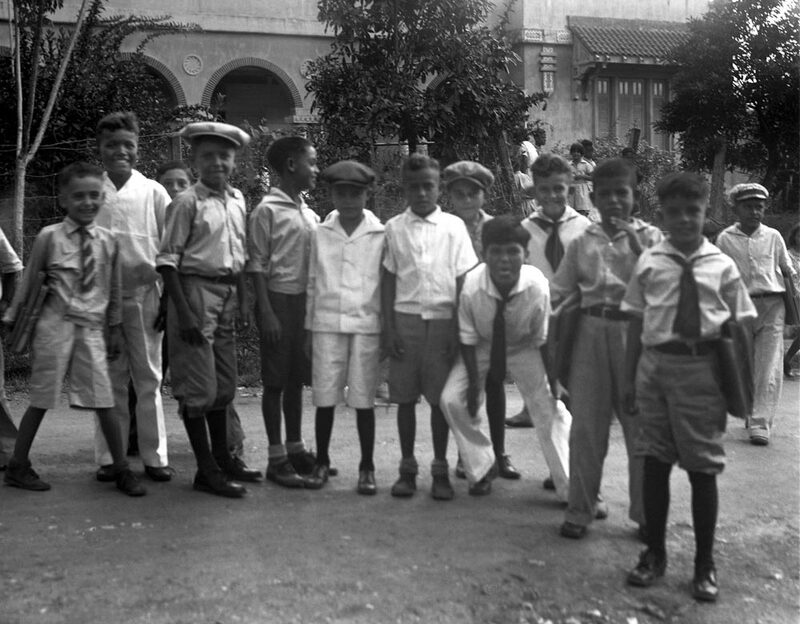 Students of Mr. Hubbard’s English class on the island of Guam, 1928. Photograph by L. Ron Hubbard. Through instruction and lectures to thousands of his students in the 1950s and early 1960s, he found among them the same educational maladies afflicting the rest of the world—declining literacy standards, an inability of students to grasp and apply material learned, and a decreasing retention of knowledge. He set about to research what the primary barriers to learning are and to develop remedies to these barriers as the key to unlock education for students from all walks of life. Mr. Hubbard found that the lack of an effective technology of study and learning was preventing an understanding of the material being studied. On the larger stage, it was also becoming apparent that the deficiencies in contemporary educational practices were leading to increasing rates of functional illiteracy and generating mounting social problems. With an interest in addressing both situations, he embarked on a program of personal research into the subjects of learning, study and education. The product of that research effort coupled with his earlier discoveries is Study Technology. Study Technology has been embraced and disseminated by educators and students throughout the world, sparking a new movement in education—one that equips any student with the tools to learn anything he or she may choose and thereby achieve those educational and personal goals hitherto unobtainable. L. Ron Hubbard’s discoveries and developments in education and learning have placed quality education within the reach of any person who desires it. The mission of Applied Scholastics is to make that Study Technology available throughout the world. Find out more information about the life and discoveries of L. Ron Hubbard on www.lronhubbard.org.